What do you get when you cross a regenerative, cranky X-Man with a regenerative, wacky Merc? 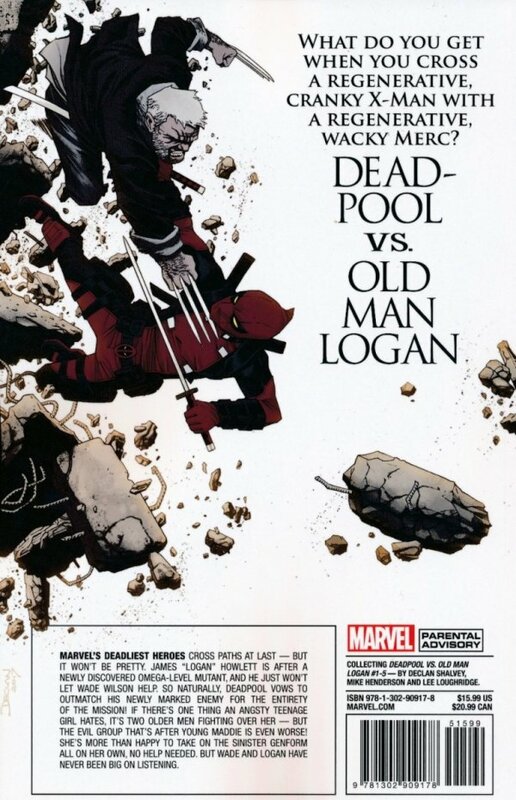 Deadpool vs. Old Man Logan! Marvel’s deadliest heroes cross paths at last — but it won’t be pretty. James “Logan” Howlett is after a newly discovered Omega-level mutant, and he just won’t let Wade Wilson help. So naturally, Deadpool vows to outmatch his newly marked enemy for the entirety of the mission! If there’s one thing an angsty teenage girl hates, it’s two older men fighting over her — but the evil group that’s after young Maddie is even worse! She’s more than happy to take on the sinister Gen-Form all on her own, no help needed. But Wade and Logan have never been big on listening. 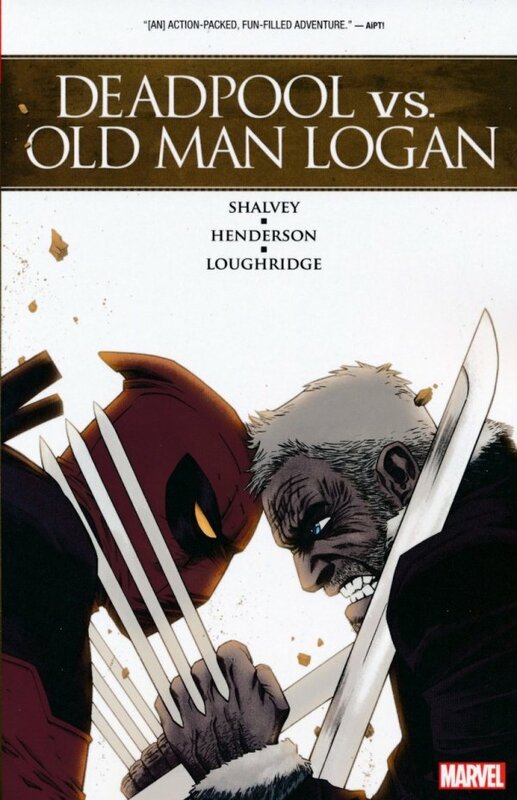 Collecting DEADPOOL VS. OLD MAN LOGAN #1-5.